Every year more than 5,000 wild geese are shot at Schiphol Airport. The geese pose a great risk to flight safety; they are large birds flying over Schiphol, a single goose can already cause major damage to an aircraft. Amongst the meat, the Schiphol goose is made into a bitterbal or croquette. The down is exported. Designer Wisse Trooster and the design label Cartoni Design will keep goose down in the Netherlands and process them into cushions locally. By processing the down in The Netherlands, valuable raw materials are used locally. 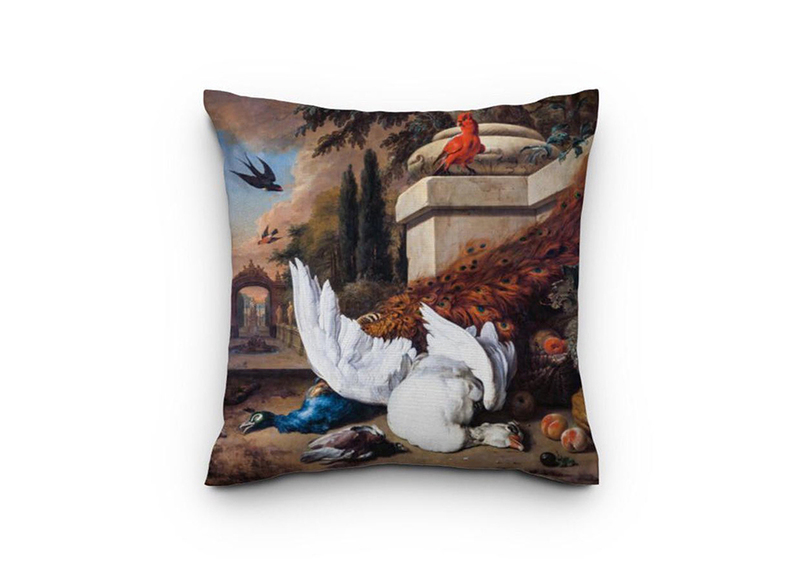 For the first series of cushions with the Amsterdam down, the designer selected a painting from the Rijksmuseum collection: a cut-out of a hunting still life, by the Amsterdam painter Jan Weenix (1640 – 1719). 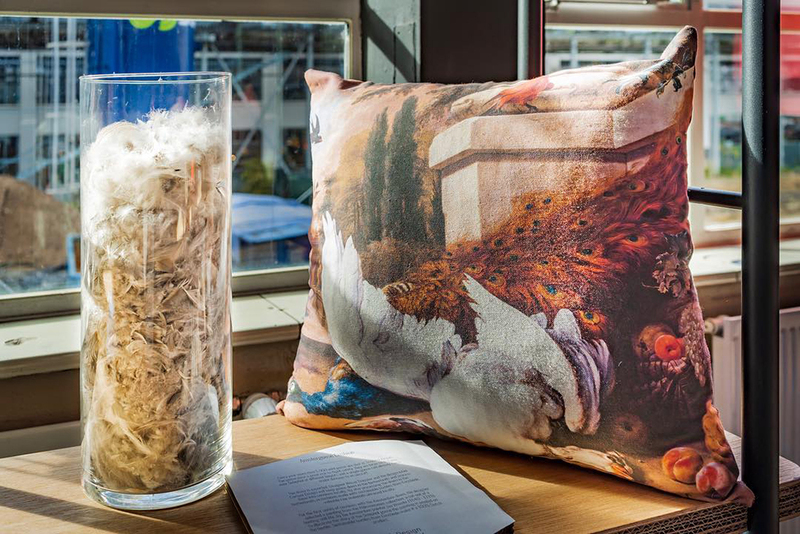 To illustrate the story of the Schiphol goose the painting is printed on the textile. 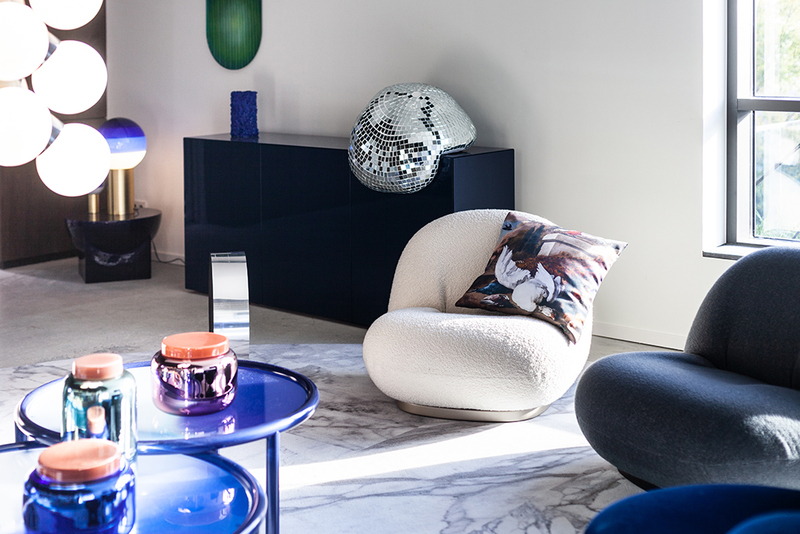 Sustainable textiles from Enschede Textielstad make it a 100% Dutch product.